Russian leaker LlabTooFerR, who has a great track record of HTC leaks, has leaked the name of a third Android One phone from Google, the HTC U11 Ocean Life. The leak comes about a week after the launch of the Xiaomi Mi A1, and a few days after a Moto X4 Android One was leaked. And he was backed by Evan Blass, who posted a leaked press render of the HTC U11 Ocean Life. The phone will run on stock Android 8.0 Oreo with Sense 9.0. You can see that easily from the font which HTC uses for the clock, and the icons do not resemble those which are used by the Pixel Launcher. You can see the Sense launcher's app drawer as well. That is to say, the phone will include some of the company’s features such as EdgeSense, USonic, Zoe and HTC Camera. Xiaomi did include the Mi Remote, Feedback and its own Camera app in the Mi A1, so it is not surprising that other Android One OEMs follow the same road. The U11 Ocean Life does have large bezels, and a home button below the display, which likely houses a fingerprint scanner. 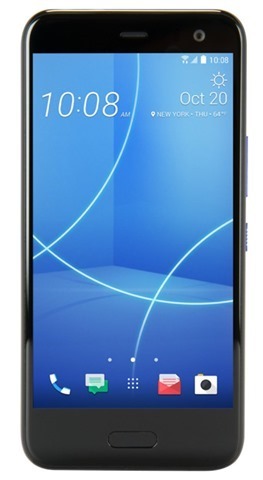 To be honest, it looks like a device from 2 or 3 years ago, and that may be a good thing because the HTC U11 Ocean Life could be a budget friendly device. Android 8.0 Oreo Update for HTC 10 U11 U Ultra to be rolled out in Q4.